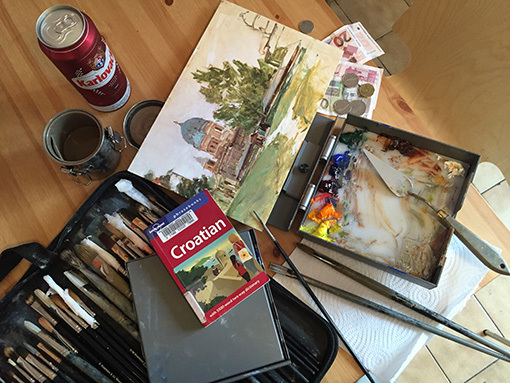 Photo shot in Zagreb, Croatia, on my kitchen table after painting the domes of Mirogoj Cemetery. Pros: Compact and incredibly durable. Fast and easy to set up and use. Awesome build quality. Cons: Limited to small panels. Limited mixing area. Deep well in the mixing area. At its core, the Micro shares the same robust build quality and proven design of its bigger and older siblings. 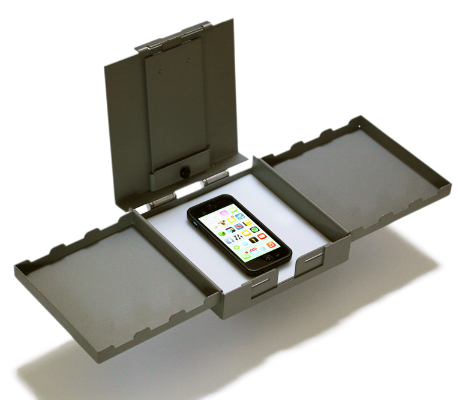 It can be easily opened and closed to access or protect your paint as you move around or store the easel. Like its kin, it won't suffer the indignities of being crushed or broken, nor will it bend or deflect from the inevitable blow-down caused by an unanticipated gust of wind. In other words, the Micro, like its brothers, is pretty much bomb-proof, sleek, and built like a tank. 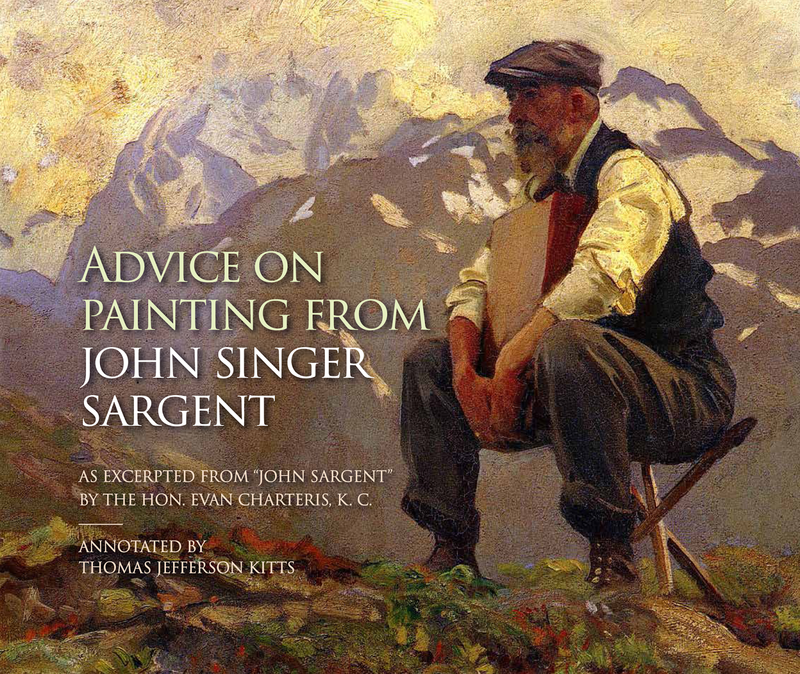 But it is a size that best serves the specialized needs of the ultra-light plein air painter who wants to set up far away from the car, or the itinerant artist who is planning to live out of a backpack during a lengthy trip. 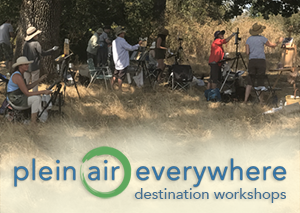 The Micro can work for the plein air enthusiast who never wants to paint any larger than ten inches tall. In truth, the Micro can stand up against its bigger brothers in every way except that the vertical limit is something to consider. I also field tested one of the tripods Strada bundles with the Micro. 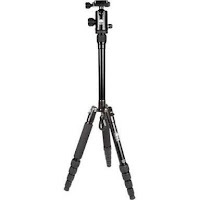 Since the Micro rightly targets the fast & light outdoor painter, I intentionally chose the Sirui T-005kx, the most compact tripod Strada offers. (shown right) To be fair, I have never seen a tripod offered by a manufacturer that is robust enough to withstand the rigors of outdoor painting, and frankly, the T-005kx is no exception. First, it is a little undersized for the painter who stands six feet tall. (I'm a little taller.) Second, the integrated ball-head and build-quality of the Sirui falls far below the build quality of the Micro itself. And finally, the weight capacity of the T-005kx, a unit designed for photo enthusiasts and digital cameras, is too low for even the Micro, especially if you like to aggressively push your paint around or have to deal with the wind. (My benchmark for assessing push and wiggle is whether or not an outdoor easel/tripod combination moves more or less than a stretched canvas does in the studio.) In fact, the first time I set up this tripod in the field I accidentally pulled the last section out of one of the legs and lost the pin or ring that keeps that section connected. I never found that part in the grass below so it must be tiny. It isn't fair to fault Strada for this failure because the manufacturer is just trying to provide an attractive (and competitive) price to the buyer, but you should read my post on tripods here if you want a full summary of what to look for in a plein air tripod. 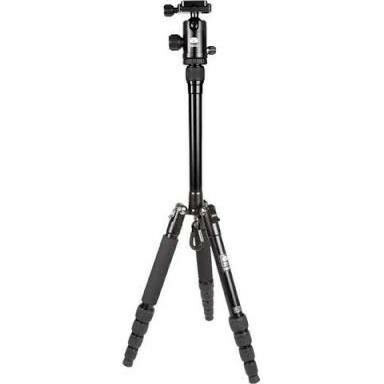 In a nutshell, don't try to scrimp or save on your tripod because most push and wiggle can be directly attributed to the tripod's ball-head and legs, not the easel itself. However, having expressed my strong personal reservation, there are painters who like the T-005kx very much, Marc Dalessio being one. (link to autoplay video) I just don't agree. As a point in comparison, I now have eleven different kinds of outdoor easels. That's crazy, I know. They run from funky cigar pochade boxes I made myself to most of the sophisticated options you can buy from a commercial manufacturer. Because of this excess I have designated the Micro as a special use easel, the one I can jam into a modest gear bag when space and weight are of critical concern. Or it has become the easel I leave in the car for those times when I might spot a drive-by painting and just want to grab a quick sketch. It's handy. But do not misunderstand me, the Strada Micro is just as awesome as its larger bros. It just loses out in the fraternal wrestling department because of its shorter reach. (Which is like dissin' Isaiah Thomas for being a little undersized for the NBA.) The Micro was never designed to be a big-boy bruiser, it was always intended to be the little punk in the family. The scrappy kid who is plucky and willing to be packed into tiny spaces as a surprise. Ultimately, there is no point to diss'ing Micro for its size because it is good at what it was built to do. You just need to appreciate you won't paint anything taller than ten inches as it comes stock. So if you are waiting for a something smaller, and perhaps more compact to come along, don't hold your breath. With the Micro, I think the line of Strada easels have reached a certain size threshold and you are not likely to see anything more portable or durable come to market soon. Unless it is the Strada 'Nano'. 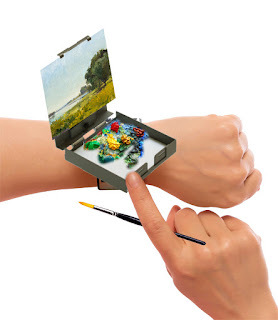 Would you even want to try to paint anything much larger with such a small box? Hi Sergio: Painting larger would be a stretch but I'd paint routinely up to 11 x 14, and rarely, perhaps 12 x 16 (horizontally) if I could. When I was traveling in Italy with my wife I brought both the Strada Mini and the Micro so she could paint as well. Now that I am home I'll swap out the t-bar from the Mini to see how well it works and update this review. Hi Tim. The Strada 'Nano' would be perfect for your 1 x 2 inch paintings, wouldn't it? (ha!) Good to se you yesterday. I'll stop by again at the end of the month. hi Thomas, ref. tripods, I don't know the Sirui, but I am very happy with my Velbon Ultra LUXi L, it extends to 63 inches, collapses to 15 inches, weighs less than 3 lbs, and is rated to hold up to 4.5 lbs. Marcio, I am glad you like your tripod. But I find I need a tripod with a greater load capacity than that. Hi Thomas! I don't know if you remember, but I had the Sirui in Italy and I had problems in windy conditions. I just received my Manfrotto CX190 and took it on its maiden voyage today. I'm in Door County and painted along the shore of Lake Michigan in 35 mph winds. It worked extremely well! No blow downs and my panel didn't even shake. I think the more substantial leg sections (and the fact that there are only three sections versus four) helped greatly. Even though the Sirui legs can also be set in a wide stance, I thought that the Manfrotto was much more stable in that configuration. Also, I was pleasantly surprised by the weight - don't think it weighs much more than the Sirui. Hi Jan. Yes, I do remember you. And I am happy to hear the carbon fiber 190 series Manfrotto tripod is working out for you. Mine is now almost 8 years old, in constant use, in every sort of environment, and may look like crap but has yet to fail me in the field. So I bet yours has many years of dependable service ahead as well. Send me a picture of one of your paintings sometime. What kind of brush washer are you using or recommend? Size and brand? I'm looking at Holbien Medium Size Brush Washer - but wondering if it worth the price over other brands? Cris, I only have Holbein brush washers, and have had them for many years. And I haven't had one leak yet. Including the big one I accidentally slammed in the big door of my van. So while I can't speak about other brands, I am very happy with the Holbeins I have in several sizes. After reading all your reviews on the Strada, I'm sold! I have convinced my husband that the perfect Valentine's Day gift would be the Mini Strada. It is on the way, yay! The side trays are a bit small which means would work better with shorter brushes. My long brushes kept falling off easily so if anyone has a micro, then you might consider purchasing a brush holder adapter for your longer brushes. Still a good pochade box. I’d go with the mini. Chanavannark, I would agree. While the micro is very easy to pack and carry, I find the Strada Mini to hit the sweet spot between size and, well, size.